Our service engineers are well trained. All of them have obtained Diploma or above qualification in Marine Electronics and Communication studies. In order to upgrade our technical skills, our engineers constantly attend overseas technical training courses conducted by our overseas principals so as to ensure we can keep abreast of the latest and the most sophisticated maritime technology. We stock a full range of major and original spare parts and electronics components in our warehouse so as to tackle any emergency situation and to meet vessels tight berthing schedule. Spare parts can also be dispatch from our local warehouse to overseas to support our customers worldwide. Over the years, we have developed a very good overseas service network. 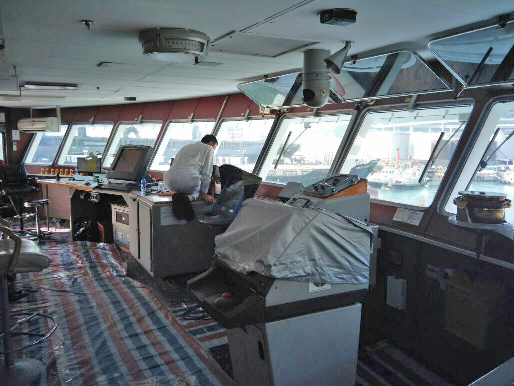 By signing Shore Base Maintenance Agreement to our customers, global service can be arranged for vessels steering all over the world. We also carry out radio survey on behalf of major classification of societies. No matter you need an annual checking of equipment, installation, maintenance service or urgent repair due to sudden break down of equipment, just simply give us a call for immediate service arrangement.